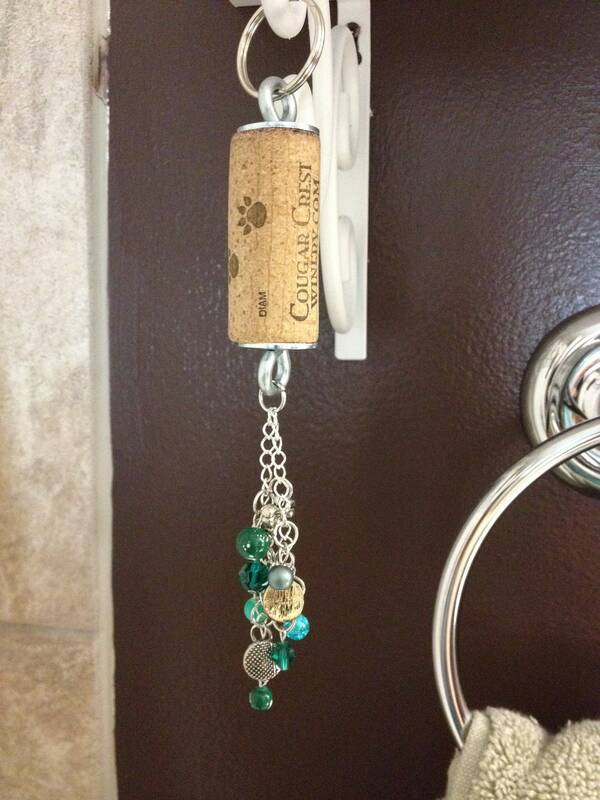 This keychain was made with a cork from Cougar Crest Winery. Attached to the bottom is silver chain with pretty baubles in various shades of green. For the wine lover in you, or as a great gift for someone.